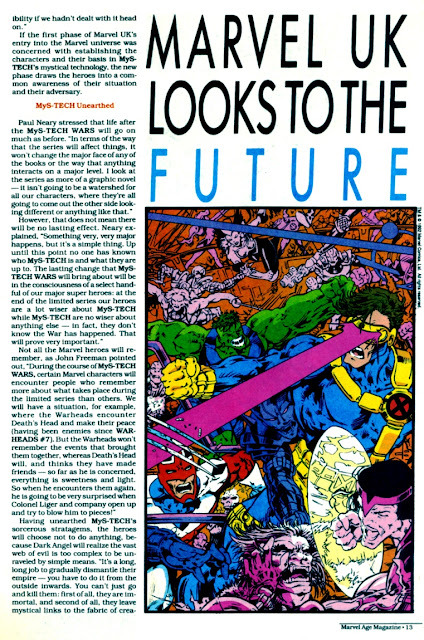 MARVEL UK looks to the future... just not too far into the future. Here's another MARVEL AGE puff-piece (issue 121, February 1993) plugging the wares of the Annex of Ideas. 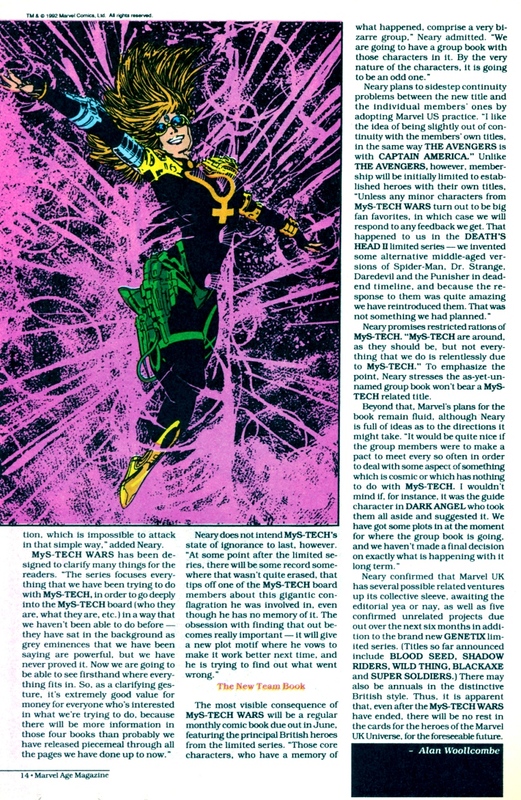 Like most (all?) 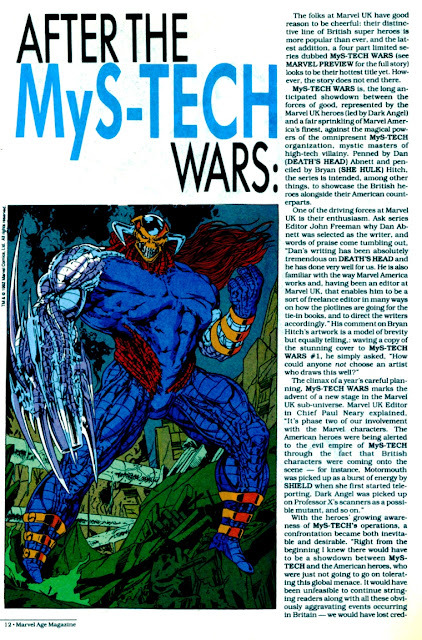 of their romps in the greater Marvel Universe, the MyS-TECH WARS was one of those sprawling crossover events, roping in numerous established characters, which had no lasting impact whatsoever on the US line. It does, however, boast some fine Bryan Hitch artwork.